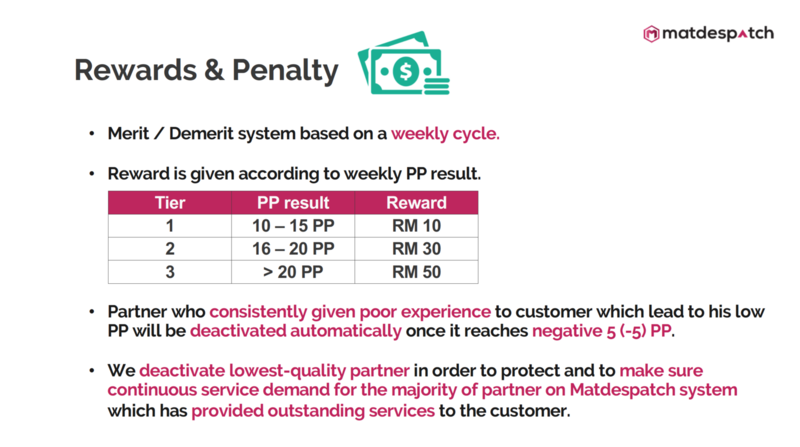 Merit / Demerit system based on a weekly cycle. All partner will start with Zero (0) PP at the beginning of the week. 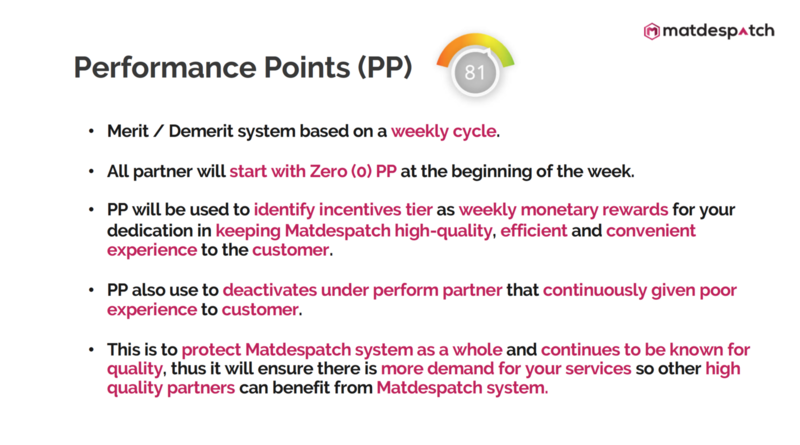 PP will be used to identify incentives tier as weekly monetary rewards for your dedication in keeping Matdespatch high quality, efficient and convenient experience to the customer. 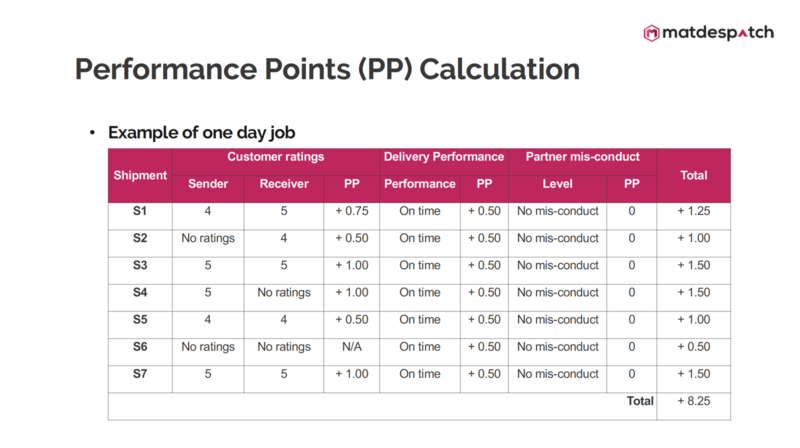 PP also use to deactivates under perform partner that continuously given poor experience to customer. This is to protect Matdespatch system as a whole and continues to be known for quality, thus it will ensure there is more demand for your services so other high-quality partners can benefit from Matdespatch system. 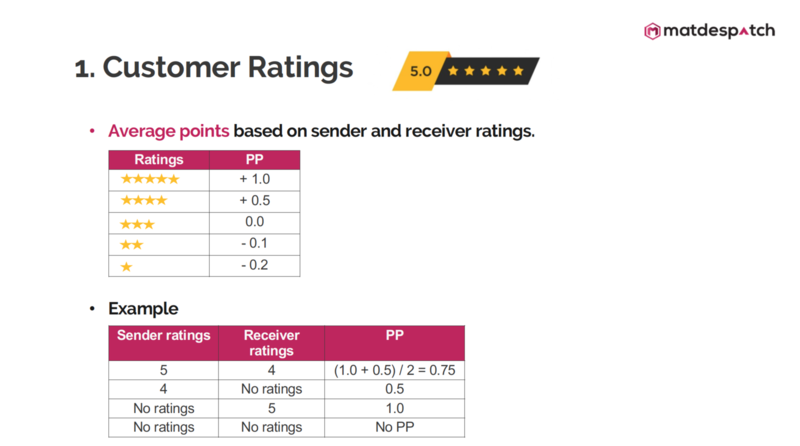 Customer Ratings - Average points based on sender and receiver ratings. 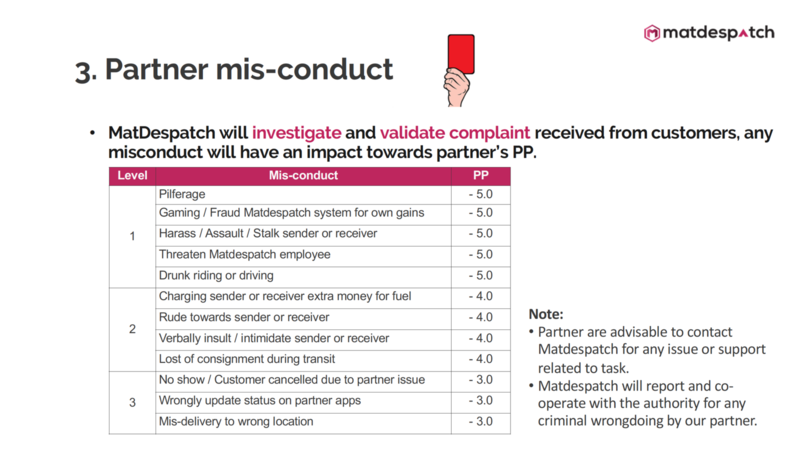 Partner mis-conduct - MatDespatch will investigate and validate complaint received from customers, any misconduct will have an impact towards partner’s PP. Reward is given according to weekly PP result. Partner who consistently given poor experience to customers which lead to his low PP will be deactivated automatically once it reaches negative 5 (-5) PP. 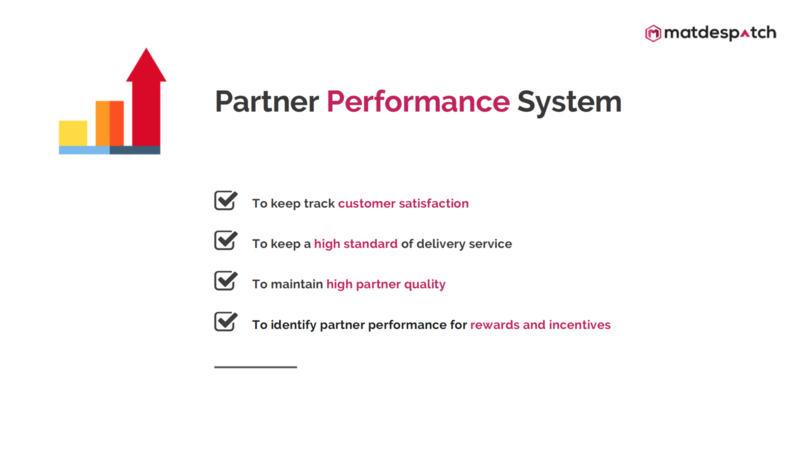 We deactivate lowest-quality partner in order to protect and to make sure continuous service demand for the majority of partner on Matdespatch system which has provided outstanding services to the customer. For more information, please refer to Matdespatch Partner Program.